While it’s easy to learn how to screenshot on your Android phone, you need to know what the steps are. And, inevitably, every time you have an Android question, you are surrounded by iPhone users. Before we get into an iPhone versus Android debate (that no one will win anyway! ), I’m here to help with your Android needs. And, iPhone users, I promise I don’t play favorites! Be sure to check out this article explaining how to screenshot on Mac as well as this piece on how to take a screenshot on iPhones. Here are the basic instructions on how to take an Android screenshot. Press and hold the power and volume down buttons simultaneously. 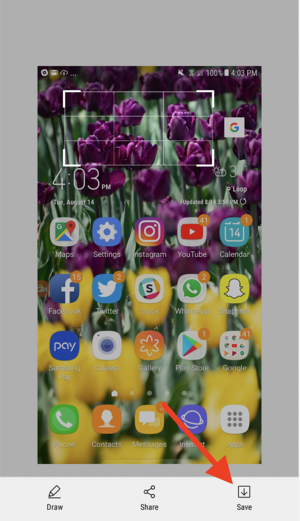 This is the standard screenshot method for most Android phones, as well as the Samsung Galaxy S8 and S9. 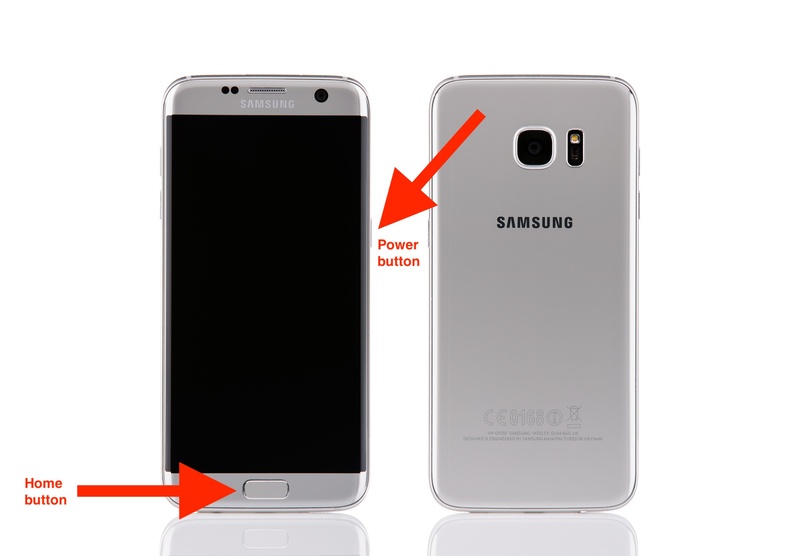 If you have a Samsung Galaxy that is an S7 or earlier, press and hold down the home and volume down buttons. You now have the basic information to take a screenshot on your Android phone. 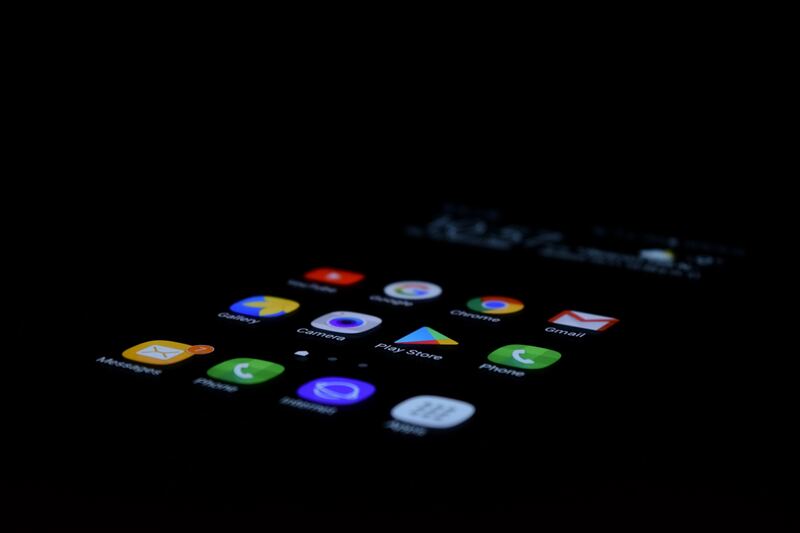 In this article, we’ll break down detailed instructions on how to take a screenshot on some of the most common Android devices. In addition, you’ll learn about Android screenshot features and free apps. If you have an old version of an Android phone, you may need to download one of these apps to take screenshots. Whatever question you have about screenshotting on an Android, you’ll find the answer here! With that, let’s get started with more detailed instructions on how to take an Android screenshot. As mentioned, there are two popular methods to take a screenshot on your Android phone. The only difference is the push of a button. Let’s break down the steps applicable to all Android phones, and then move on to specific models. Go to the screen you would like to capture. Press and hold down the appropriate buttons. If you have an older Android phone running on Android 2.3 or below, you may not have this screenshot shortcut built in. If that’s the case for you, jump down to the section on screenshot troubleshooting or free Android screenshot apps. You will see a flash along the edge of your screen. If the volume is on, you may also hear the click of a camera shutter, alerting you the screenshot has been taken. Let’s look at when you would use each of these features. Cropping your screenshot enables you to select and capture a portion of your screen, not the whole thing. Some Android phones present you with the opportunity to do this before your image is saved. Part of your screen may hold sensitive information you don’t want to be shared. If a co-worker only needs to see part of the screen, you're only sharing the relevant section. I’m a huge fan of cropping screenshots! It gives the images I share a clean, professional look. In a moment, you’ll see this process on a Samsung phone. Sharing your screenshot enables you to send it to friends, family members, or even yourself for personal record-keeping. Your screenshot can be shared through many platforms, including email, Facebook, WhatsApp, Instagram, Slack, and text messages. Say you have a long conversation you want to preserve, and it doesn’t fit in one screenshot. Instead of taking a screenshot, scrolling down, taking another screenshot, scrolling down (and so on! ), a scrolling screenshot enables you to capture the entire scrolling conversation as one image. The drawing feature enables you to use your fingertip and draw on your screenshot. That’s right! Use your finger the same way you would a pen! This is great for adding arrows or circling important parts of your screenshot. Once you've taken your screenshot and made any necessary adjustments, you need to know where to find it! Wondering where that screenshot goes after it disappears from your phone's screen? The answer is simple: Android screenshots are saved in your phone’s gallery. 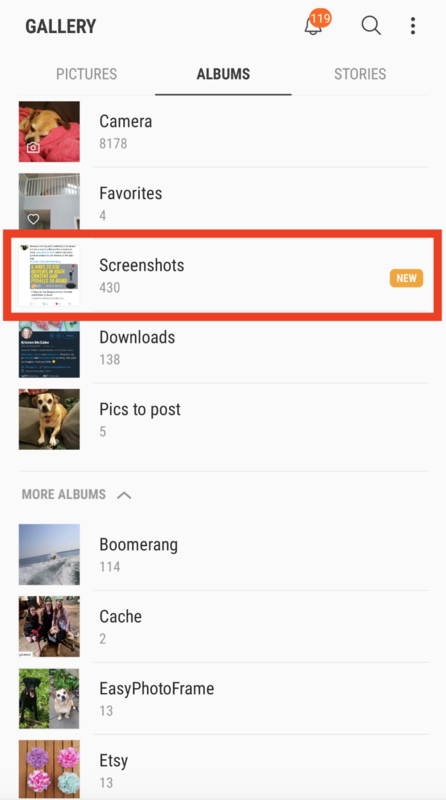 If your Android phone gallery has folders, there’s a good chance your screenshots have automatically been saved into their own unique folder. If you have a newer version of Android, and your phone's gallery app has folders, there's a good chance you'll find a screenshot folder. And – big surprise! – this is where you'll find those screenshots. Now that you know how to take screenshots and where to find them, it’s time for a deeper dive. Next, we’ll look at how to screenshot on six popular models of Android phones. You’ll learn not just what buttons to push, but where they are and how to use the screenshot features just mentioned. Here, we’ll break down screenshotting Android on some of the most popular versions of Android phones: Samsung Galaxy, Google Pixel, Nexus, LG, and HTC. Let’s start with the most common Android phones, the Samsung Galaxy. The process of taking a screenshot on your Samsung phone will depend on which version you have. 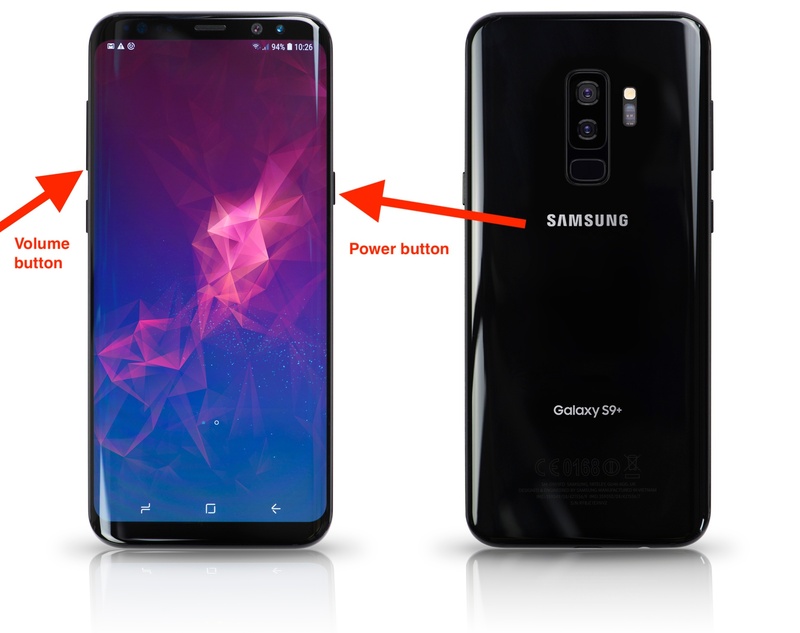 The hardware on the Samsung Galaxy phone changed when the Galaxy S8 was released, meaning there is no longer a home button. Whichever model you have, here are the instructions to screenshot on your Samsung Galaxy. Earlier versions of Samsung (like mine!) enable you take a screenshot by pressing and holding down the home and power buttons. 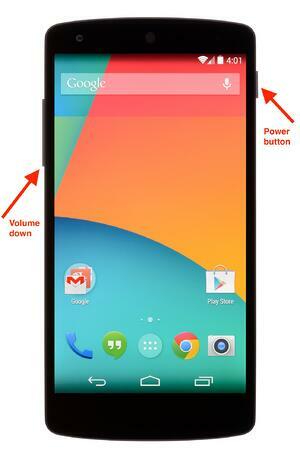 The home button is located at the center of your phone near the bottom and the volume button is on the right side. After you’ve held down the home and volume down buttons for a moment, the image you’ve captured will flash. Then, for a moment, the image will appear on your screen, with the options to scroll capture, draw, crop, or share your screenshot. You can see these options in the red box shown below, taken on a Samsung Galaxy Note S5. If you’d like to use any of these features, make sure you do so quickly, as the box with editing options will disappear in a moment. To capture an extended screenshot, touch the “scroll capture” icon. Once you do, your screen will automatically scroll down to shift itself the next page. That second page will then be captured, and added to the bottom your original screenshot. (In other words, both screenshots will be combined into one image.) If you need more than two scrolls, once again tap the scroll icon. Continue doing so as many times as needed until you’ve captured the entire length of the necessary information. To crop your screenshot, hit the “crop” symbol. Then, you’ll notice a grid appear on your screen. Use your finger to drag the corners of the grid until it only covers the chosen area for your screenshot. In this example, I am screenshotting only the purple flowers. When you have your cropped area selected within the grid lines, hit the save button in the lower-left corner. The image will disappear, but rest assured, your cropped screenshot is saved in your gallery. If you’re a trendsetter with a shiny new Samsung Galaxy, you’re well aware you’re missing that home button. In this case, take an Android screenshot by pressing the power and volume down buttons. With the screen facing you, you’ll find the power button on the right side of your phone and the volume button on the left side. After pushing and holding the buttons in unison, you’ll see a screen that looks similar to the earlier versions on Samsung Galaxy phones. The only difference is an option for Bixby Vision, found in the lower-left corner. Bixby is a personal assistant app created by Samsung, available on the Galaxy S8 and new versions of the phone. Bixby Vision has many artificial intelligence features for your photos. For example, it reads and translates text and finds objects in your pictures for you to buy online. Google has two popular Android phones. We’ll start with the Google Pixel, and then move on to the Google Nexus. To screenshot on a Google Pixel, press and hold down the volume down and power buttons. On the Google Pixel 2XL, these are found on the right side of your phone. The volume button is directly underneath the power button. After your screenshot has been taken, you will see a notification of your screenshot. Like Samsung, Google gives you the option to share or edit your screenshot. You can also delete it (should you take a screenshot by accident). However, the editing options are slightly different from Samsung. After taking a screenshot, when you click edit, you will see a screen that enables you to edit your image. As shown in the red box, you can draw on your image, highlight, undo, or redo your edits. While there is no grid, you can also crop in this view. Simply click and drag the corners of your image. 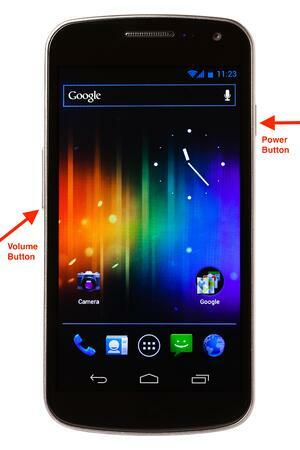 The Nexus is another Android phone manufactured by Google. Let’s look at how to take a screenshot on any Nexus phone, including the Nexus 6P– one of the most popular models of a Nexus phone. Like the majority of Android phones, take a screenshot by simultaneously pressing and holding the power and volume down buttons. LG is another popular Android phone, and one I’ve owned myself. (I highly recommend the camera!) 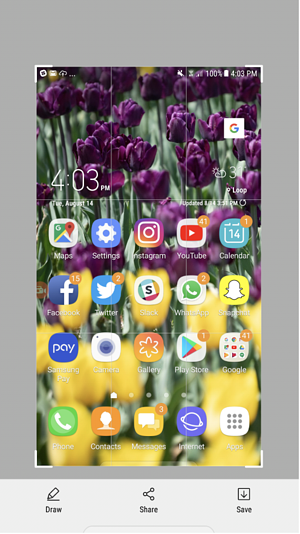 To take a screenshot on your LG phone, press and hold down both the power and volume down buttons. This will work on LG G3, G4, and G5 Android phones. After you take your LG screenshot, you’ll have the option to view your screenshot, share, or delete it. HTC phones give me fond memories of my first touchscreen phone. While it’s no longer the big player that Samsung, Google, and LG have become, HTC still provides quality phones. To take a screenshot on your HTC, press and hold down the power and volume down buttons. 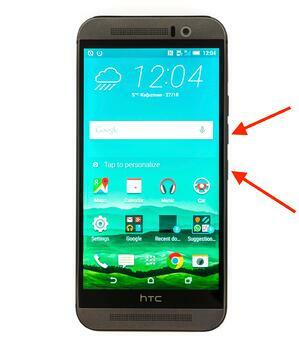 You’ll find the volume buttons on the right side of your HTC phone. The image shown here is an HTC One M9. As you can see, on this version the power button is also on the right. If you have a new Android phone, there is a good chance the shortcuts mentioned above will work for you. However, problems can arise with older (ahem, my apologies –“retro”!) versions of Android devices. Warning – technical language coming! But no need to fret, I guarantee I’ll make it easy to understand. Pressing and holding the volume down and home/power button will work on all newer versions of Android phones, running on Android 4.0 or later. Fun fact: The codenames for Android versions are all sweet treats. Version 4.0 is called Ice Cream Sandwich and was released in October 2011. So, if you bought your Android phone after 2011, you should be able to screenshot with the shortcut buttons mentioned earlier. The earlier versions of Android phone had security systems put in place by the manufacturer. If you root your phone, you are adding functions the manufacturer intentionally removed. 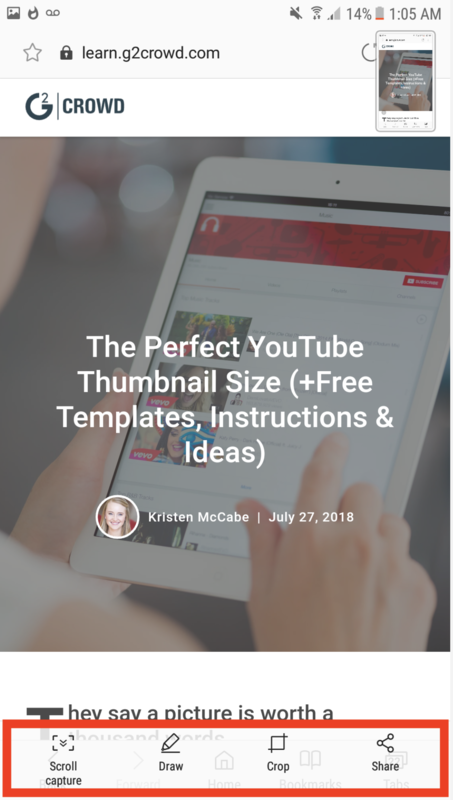 This gives you the ability to do much more with your Android, such as customize themes, speed up your phone, save battery, and block in-app advertisements. Sounds great, right? Before you start unlocking features, consider the fact that rooting your phone is a technical process. Plus, you're opening yourself up to data security issues. Not only that, but because you are removing restrictions that carriers and manufacturers put on your phone, there is even discussion as to if rooting your phone is illegal. Personally, I prefer option number two. There are plenty of screenshot apps to download in the Google play store – many of them free! Some apps will still require you to run on a later version of Android. Look for an app that says “no root” in the name or description. If you’re overwhelmed looking for a screenshot app, just choose one of the three suggestions in the list below! Okay, now that we have the understanding of “root” out of the way, let’s look at some apps you can use to take Android screenshots. All of these apps do not require root. 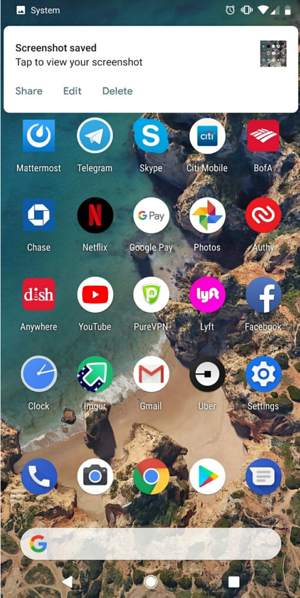 But, even if you’re running on a later version of Android and can take screenshots, you may want to download one of these apps thanks to the cool features they provide. Here are three free apps for Android screenshots with high-ranking customer reviews. 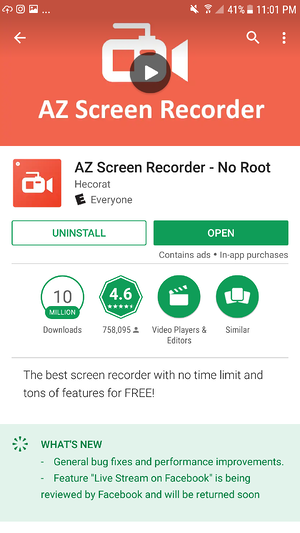 The AZ Screen Recorder was released in November 2014 and has had over 10 million downloads. 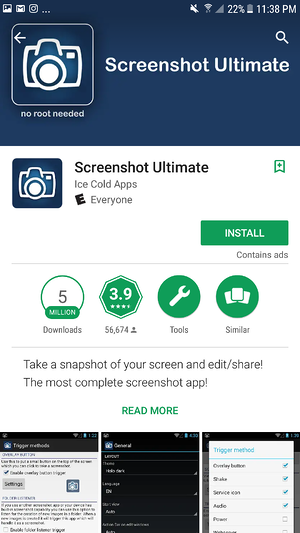 With over 750,000 reviews and an average star rating of 4.6, it’s safe to say Android users are a fan of this screenshotting app. In addition to screenshots, this app is often used for screen recordings. No time limit or watermark (even with the free version). Audio can be recorded from your phone’s microphone. Recordings can be paused and resumed. In the settings, you can enable screen touches, showing people watching your videos exactly what you are doing. A “live stream on Facebook” feature is being reviewed by Facebook and expected to be available soon. 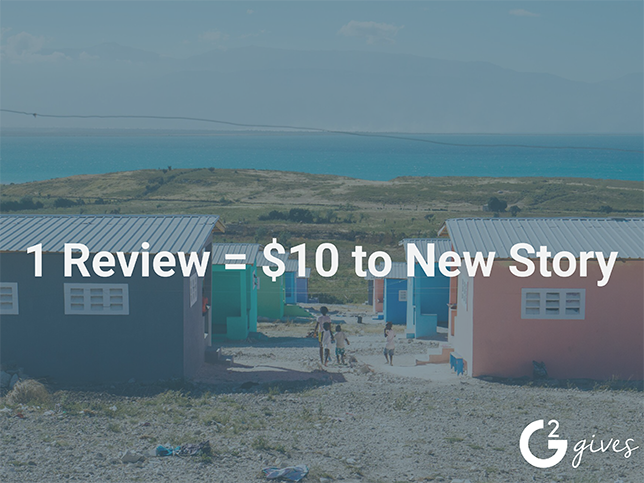 The app is free, but in-app purchases are available, ranging from $1.49 to $2.99 per item. 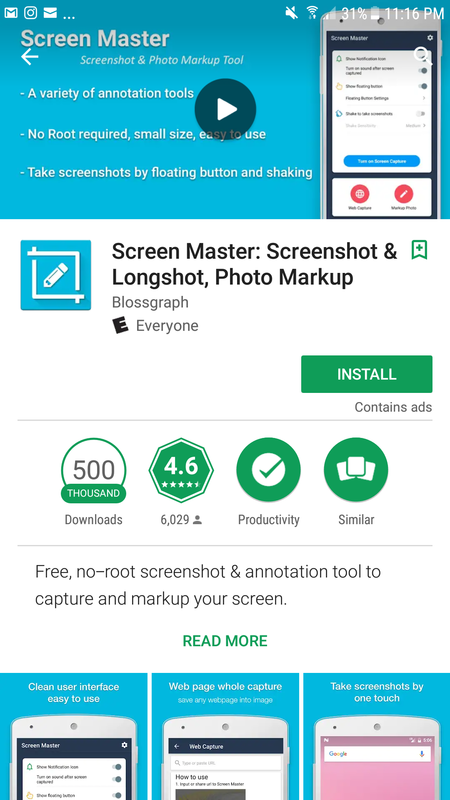 Screen Master is a newer screenshot app, released on May 23, 2017, and recently updated on Aug. 7, 2018. The ability to take a screenshot by shaking your phone. Support of long screenshots and stitching photos. This means you can take individual screenshots, and, just like a patchwork quilt, stitch them together into one image. Crop your screenshots into fun shapes, including circles, stars, and triangles. The option to blur out sensitive information you do not want to share. Add some personality to your Android screenshots with emoji stickers. High quality images at a small file size, less than 5MB, ensuring you don’t take up too much of your phone’s space. The free version gives you all these features at no cost – there aren’t any in-app purchase options. However, in addition to the free version, the Google Play Store offers a Screen Master Pro option for $2.99. Some of the screenshot methods include shaking your phone, a custom shortcut, widget button, or button inside the app. This ensures you’ll be able to find a screenshot method that suits you and your needs. Add an overlay to your images and filters, such as sepia and grayscale. Create default settings for your screenshots, including the file name and image format. Share your screenshots through the app through email, Picasa, Imgur, and more. Select multiple screenshots and create a zip file to share them. Screenshot Ultimate is free, and a paid version of Screenshot Ultimate Pro is available for just $0.99, with an average star rating of 4.1. Taking a screenshot on your Android phone is an easy process. Simply press and hold down the power and volume down buttons, and you’re done! If you have a Samsung Galaxy S7 or earlier, press and hold down the home and volume down buttons. As Android operating systems continue to improve, you’ll find yourself with continuous new ways to edit and annotate your screenshots. If your phone is running on an old version of Android, consider downloading a free Android screenshot app. Even with a new version of Android, apps provide you with additional ways to capture both images and videos on your Android phone. For more info on screenshot and capture help, be sure to check out the best free screen capture software in 2018 by real-user satisfaction.